The module of Biotechnology and Nanotechnology combines two of the most powerful scientific areas that are likely to have a profound effect on life as we know it. Biotechnology is the use of modern tools to enhance the usefulness of living organisms for the benefit of human kind. Humans are at the threshold of new powers that are unlike any faced ever before, including much controversial nuclear energy. Two technologies, recombinant DNA and in vitro fertilization of the egg have opened up vast new areas for potential of genetic manipulation of plants, microbes and animals, and also humans. Developments in the area of DNA cloning and sequencing have made it possible to do mass screening of large human populations, even fetuses, for detection and possible cure of a number of hereditary disorders through gene therapy. Genetic manipulation of the human embryo to correct genetic defects involves the same technique as its manipulation for any other purpose, such as enhancement of lifestyle. Potential cloning of a human involves the same technology as the cloning of a sheep or a cow. Stem cell research has recently been added as a new and revolutionary tool to aid in the cure of numerous ailments which have defied a cure in the past. The genetic engineering of microorganisms for medical, industrial, and military purposes, the production of miracle drugs and cures, the possibility of modifying humans to cure genetic diseases, and the production of genetically engineered plants and animals to solve the problem of world hunger have aroused high expectations, a warm public debate, and much soul-searching. Should we allow this type of research to continue? Who should support such research? Who should gain from such innovations? What rules, if any, should govern genetic manipulation of humans? Should we clone humans? Who makes these decisions? These are some of the questions that we will be facing in the near future; the questions that need to be answered not by scientists alone but by all members of the society including politicians, economists, physicians, environmentalists, sociologists, and philosophers. This is what makes biotechnology truly a cross-disciplinary subject. Patenting and ownership of life forms. Nanotechnology: What it is and why it is important. 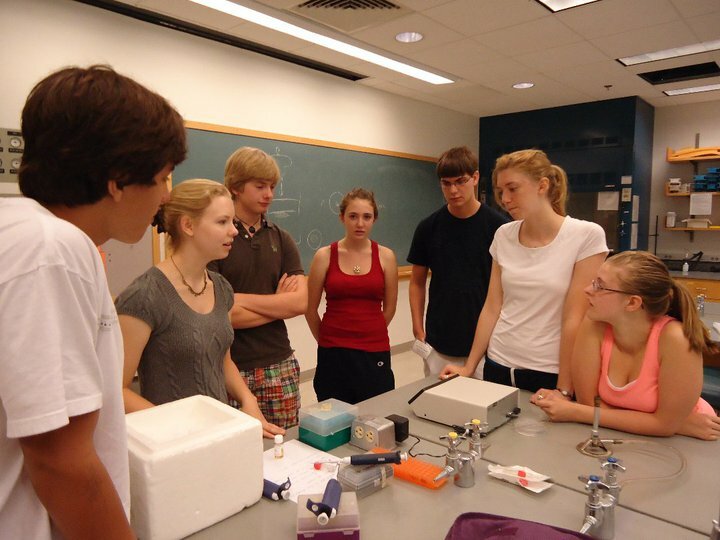 The module of Space Science brings students into the UNH laboratories where cutting-edge scientific research is being performed. Please see their exciting new web page here, brought to you by the Space Science Center. We seek to integrate the students into the current research efforts of our faculty, finding carefully chosen projects with real application and importance. The topics each year change as the research of our faculty changes, but students who enroll in the Space Science module can expect a lively and challenging exposure to physics research. Space science research begins with the Sun. It is the source of light and heat, but also a source of an expanding ionized gas called plasma that fills the space between the planets. Solar activity can lead to changes in the near-Earth environment as benign as the aurora and as significant as regional power outages. The sun is also a source of energetic charged particles called radiation than can disable spacecraft and endanger astronauts. Part of space science research is aimed at obtaining a better understanding of this physical system, predicting disruptions, and protecting life. Faculty in this program are actively engaged in obtaining a better understanding of solar activity and solar eruptions, the evolution of the interplanetary gas, it’s interaction with the near-earth environment, the production of aurora, and the prediction of power outages. Members of the faculty and research staff in this program are building instruments to fly in space, analyzing data returned by those instruments, developing theories and building complex computer simulations to model the dynamics of the coupled systems. The space science module is constructed of four components: (1) a college physics lecture series that focuses on the basic physics needed to understand the systems being studied that reflects some of the topics that first-year college students can be expected to learn, (2) advanced lectures that focus on space physics topics that are challenging, but present overviews of the observations and physics needed to understand the research, (3) research topics assigned to teams of two students who work closely with members of the faculty, and (4) a team project. 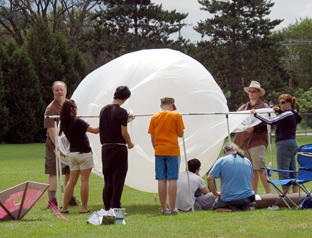 The team project this year will probably be the launching of a high-altitude balloon and one research project will be the construction of the payload. The module ends with a presentation by the students to the faculty and parents on graduation day where the students present the results of their research. You will be amazed at what you know then that you don’t know now, and you will be surprised by what you can do in just a month! Tomorrow’s world will be shaped by our skills in managing Earth’s environments, including water (ground water, lakes, wetlands, estuaries, and oceans) and land (forests, agricultural lands, prairies and urban areas) resources. Advancements in technology have enabled us to 1) study how human populations impact the natural environment, and 2) improve human-environment interactions. Students will learn the tools of Global Positioning System (GPS), geographic information systems (GIS), and satellite remote sensing in monitoring and solving environmental problems. When combined with modern high speed computers, these tools enable investigators to examine Earth systems with high degrees of spatial accuracy, resolution, and over large geographic extents. 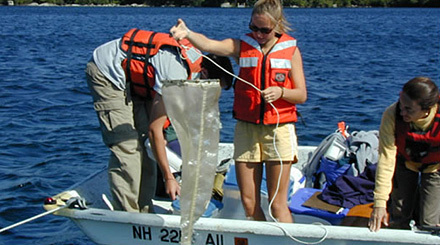 The program will focus on environmental issues in marine, freshwater, and terrestrial ecosystems, and introduces students to techniques and instruments used to study these systems. Students will develop their own research projects consisting of a research question, testable hypothesis, and experiments to test their hypothesis. Students will improve their scientific communication skill through oral and poster presentation to fellow students, parents, and invited guests on the last day of the program. 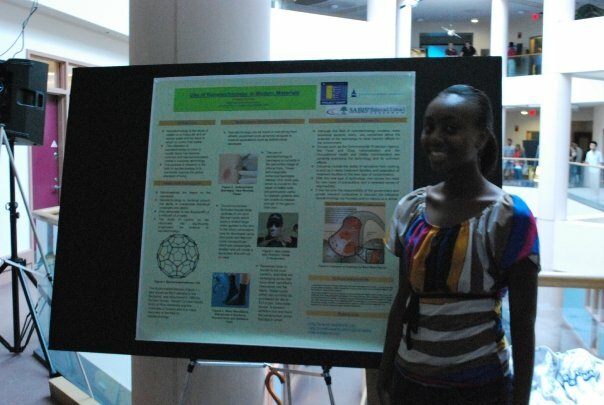 Individual research projects will be conducted by the students under the guidance of UNH faculty and staff. Through a marine cruise to the Great Bay Estuary and the Isles of Shoals; canoeing local rivers and lakes; and a 5-day trip to the White Mountains (staying at the Moosilauke Ravine Lodge), we will explore the ecology of estuaries, stream systems and forests of the White Mountains. Student research projects will include applications of mathematics, statistics and computer software for data analysis and a final scientific presentation of findings. 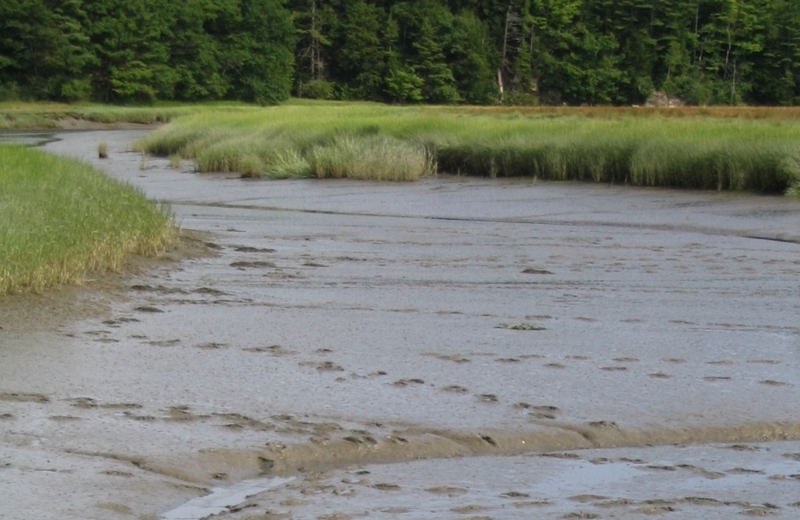 Field trips and research activities will be supplemented by discussions with UNH scientists about various “hot” topics in environmental sciences, including water resource management, global climate change, and land use/land change issues. In addition, visiting scientists will discuss applications of the geospatial technologies in environmental sciences. 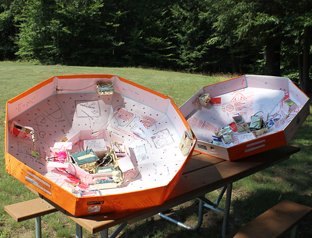 The students are housed in a UNH dormitory under the supervision of a Hall Director and resident assistants who organize evening cultural and recreational activities for group participation. Students can stay on campus from Sunday evening through Friday afternoon OR they can choose to participate in supervised group-activity-oriented weekend programs. Transportation to and from UNH is the responsibility of the student/parents. The use of personal automobiles during the Summer Institute is not permitted. 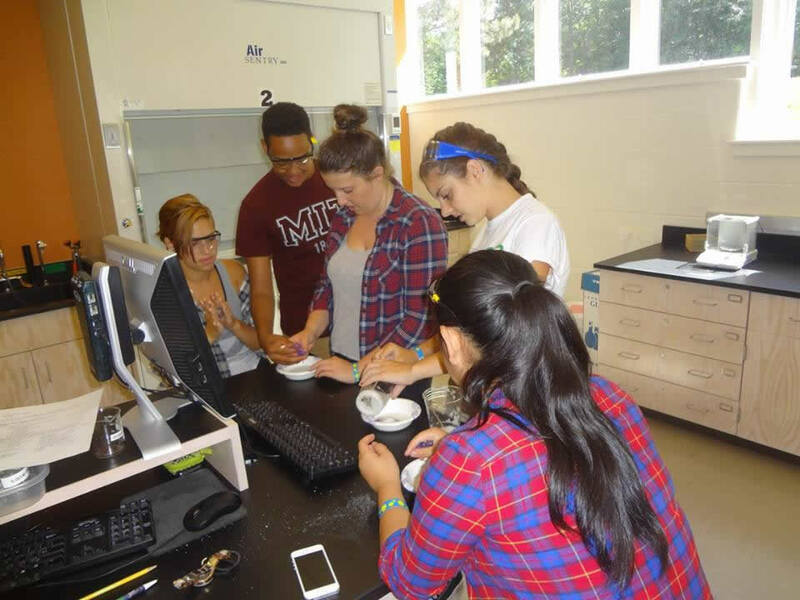 The Project SMART Summer Institute is subsidized by the UNH College of Life Sciences and Agriculture, the College of Engineering and Physical Sciences, the New Hampshire Space Grant Consortium, NHEPSCoR Grant from NSF, several other programs on campus, and private foundations and companies. For the list of past year’s sponsors, click here. The cost of the 2018 Project SMART Summer program is $3,400 for those not participating in the weekend program and $3,900 for those staying for the three weekends. Weekend stay is not mandatory. The program fees cover the cost of room and board in the UNH dormitory and dining halls, field trips during the four-week program, and administrative costs. The students also receive 4.0 UNH credits for which the University has agreed to waive the tuition. Scholarships are available to needy students (particularly those coming from minority, under-represented and under-served groups) to partially or fully offset the costs. Please contact the Program Director for availability and eligibility and procedures to apply for the scholarship. Download the application material via the link below. Download Project SMART application material.